Il Casello, specialising in the production of wine of the Piacenza hills, is located in the hamlet of Bacedasco Basso in the municipality of Vernasca, surrounded by green hills which face onto the Po valley in the province of Piacenza. Founded in the mid-1950s, the company has always been managed by the Rigolli family. The knowledge of traditional production techniques is merged with the safety of modern technologies to offer a guaranteed quality of wine according to the strictest rules of the wine consortium. The vineyards, cultivated using the Guyot method, stretch for 18 hectares over the zone of Bacedasco Basso at 250 m above sea level. 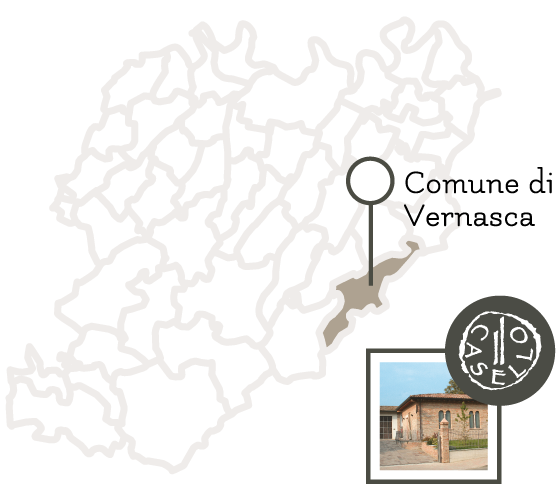 The farm produces Doc wines of Piacenza: the reds include Gutturnio still and semi-sparkling, Barbera and Bonarda; the whites include Ortrugo and Malvasia in the dry and sweet versions. Come and visit our wine cellar; it will be a welcome opportunity to meet us, become acquainted with our wines and our land, an environment linked to the authentic values of life and work.